We’re not really sure what’s the rationale behind Nokia’s decision here, but it appears the cyan Lumia 920 will be a US-exclusive. Back at the launch in New York, many were wondering aloud as to what happened to the cyan colourway for the Lumia 920, which did not make an appearance. Cyan, as it turned out, became a very popular colour for users. Eventually, the cyan colourway was announced later on. Unfortunately, it looks like the cyan Lumia 920 will still be limited to only US consumers. 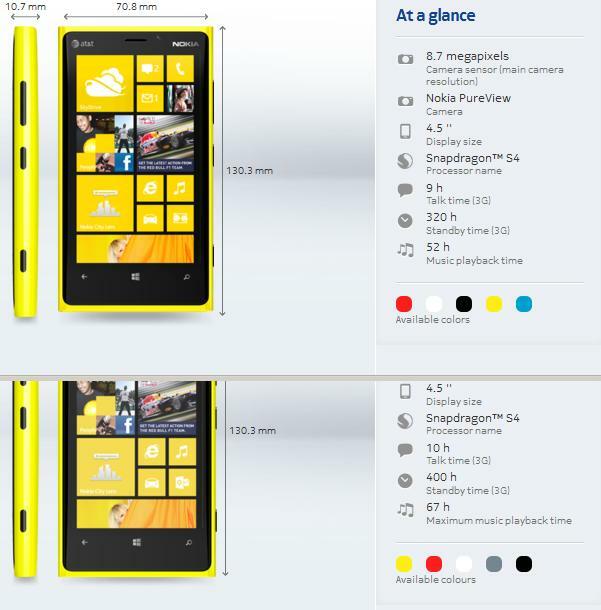 From the screengrab above, the US website (top) and the global website (bottom) for the Lumia 920 is different, where the cyan colour option is ominously missing. If it’s any consolation, the grey Lumia 920 will be an international-only variant.